How do I find videos? (Library Catalog) - Ask Us! I'd like to find streaming videos that I can use for my speech topic. 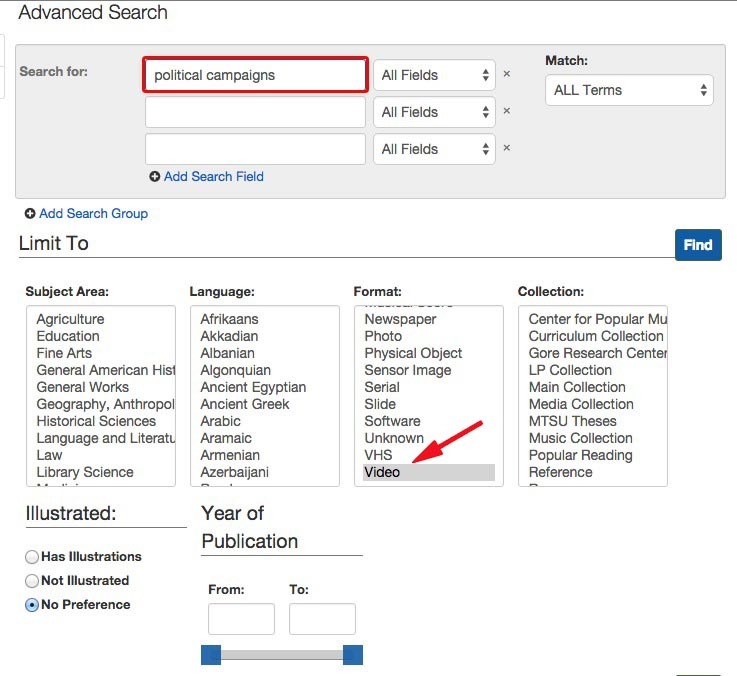 To locate streaming media using the Library Catalog, click on the Library Catalog link located on the Library home page, then choose Advanced Search. Type keywords or the title (if you know it), and limit to video from the format box. Click on Find to run the search. The results will show along with Suggested Topics, and in the left margin, other ways to Narrow Your Search, if necessary. 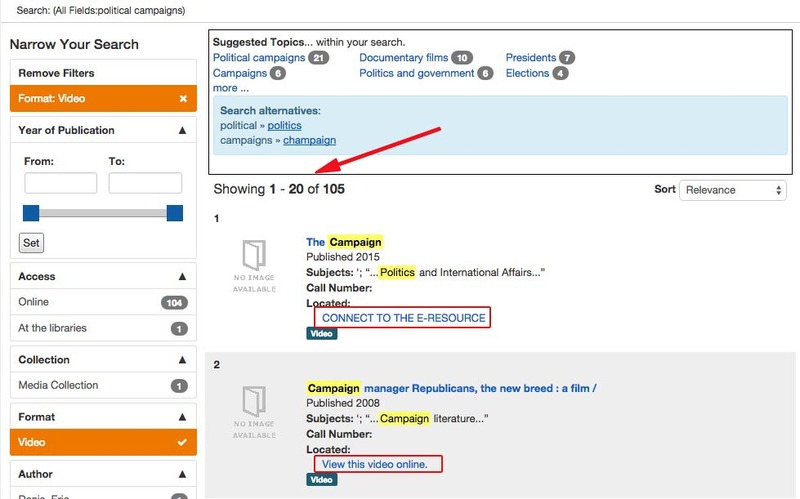 Depending on the vendor, you'll see Connect to the E-Resource or perhaps View this video online. How do instructors at MTSU find videos that are available? How do I request a new book, video or music?